At Valcke Art Gallery, Gent, a celebration of small but impressive objects is set to take place. Opening in December, their new exhibition, Treasures, brings together the work of seven artists who make vessels of both material beauty and creative vision. The recently established gallery shows pieces that align with its philosophy that objects carry technique and imagination, humor and fantasy, deep emotion and tacit knowledge. The treasures on display in this exhibition transform raw materials of earth, metal and glass into works of art. 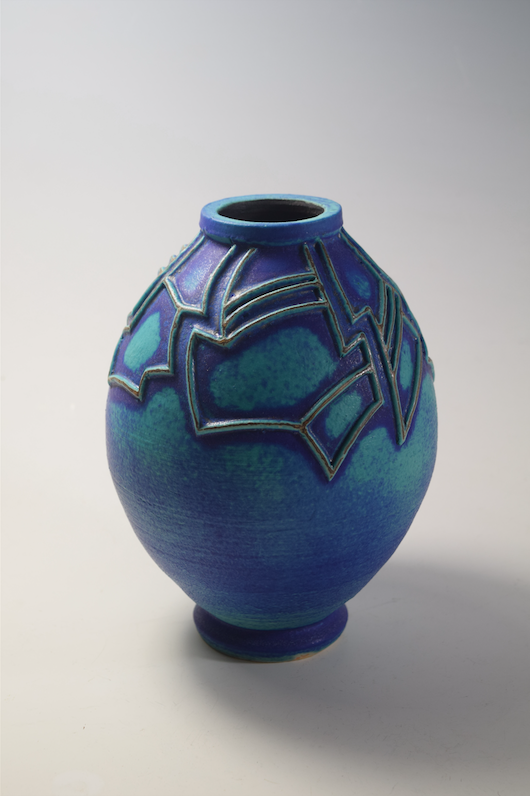 Many of the works on display come from a deep connection with the craft and material of ceramics. Magdelien Roobroeck finds a muse in collected earth. Her vessels are a physical manifestation of her daily travels in which she collects earth from all the paths that she takes. This earth is then incorporated into the body of her pieces. 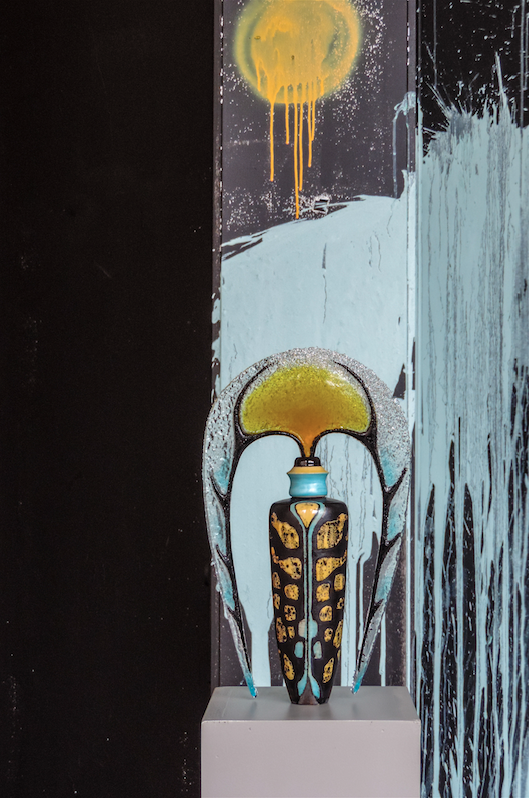 Also inspired by nature is Fabienne Loyens who makes an ode to insects in his collection of vases. Margot Thyssen uses a multi-layered slip casting technique that she has refined through practice to create swirling marble surfaces. 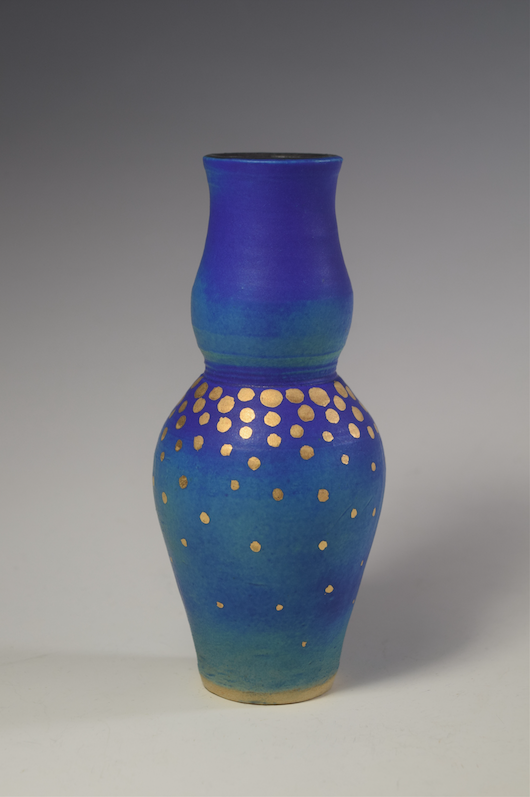 In contrast, the electric blue and gold vases of Belgian ceramicist Frank Steyaert have bold graphic patterns. The small-scale vases are thrown by hand and bring to mind bright, sunshine-filled days. 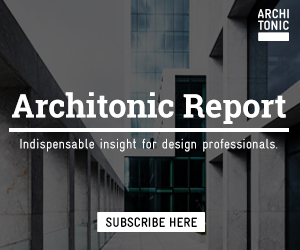 Applying contemporary technology of 3D printing to the age-old craft of ceramics is Christopher Kelsall, who’s pieces reflect his interest in the seemingly juxtaposed fields of computer science and archaeology. 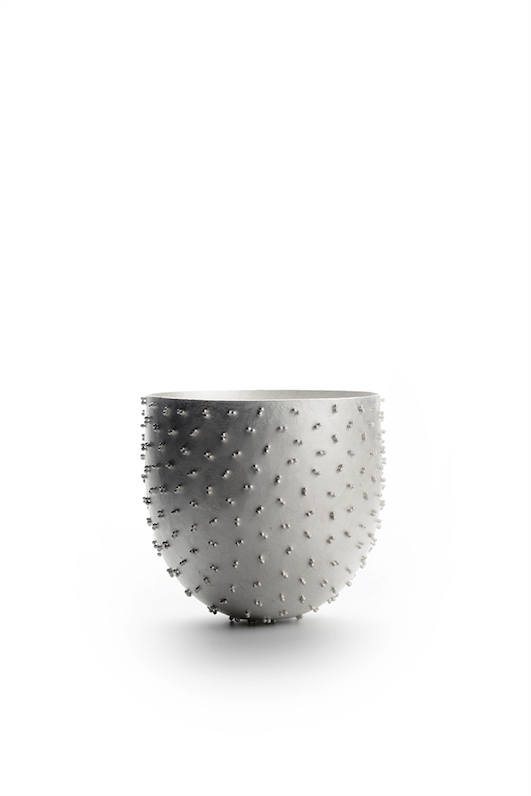 Working in a similarly exploratory way but with a different material is silversmith David Huycke. He approaches his material like a scientist or alchemist to create seemingly impossible and intricate textures and shapes. 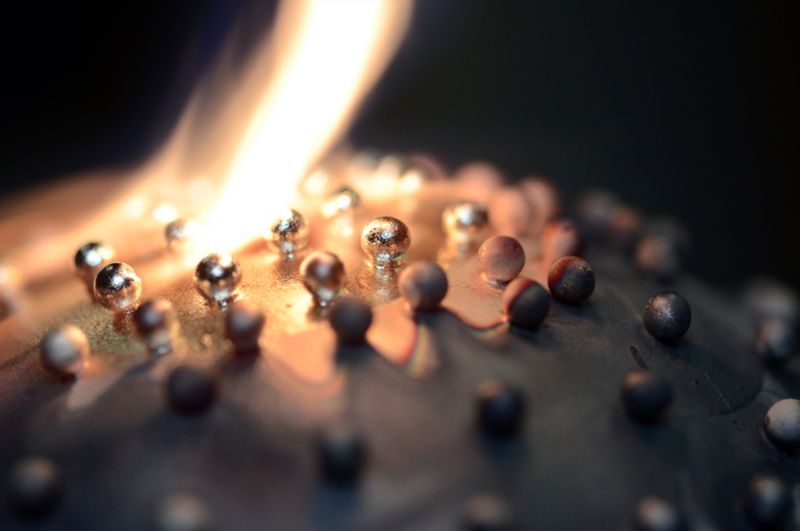 Finally, the glass objects of Mariken Dumon emerged from her research into the techniques of glass blowing. 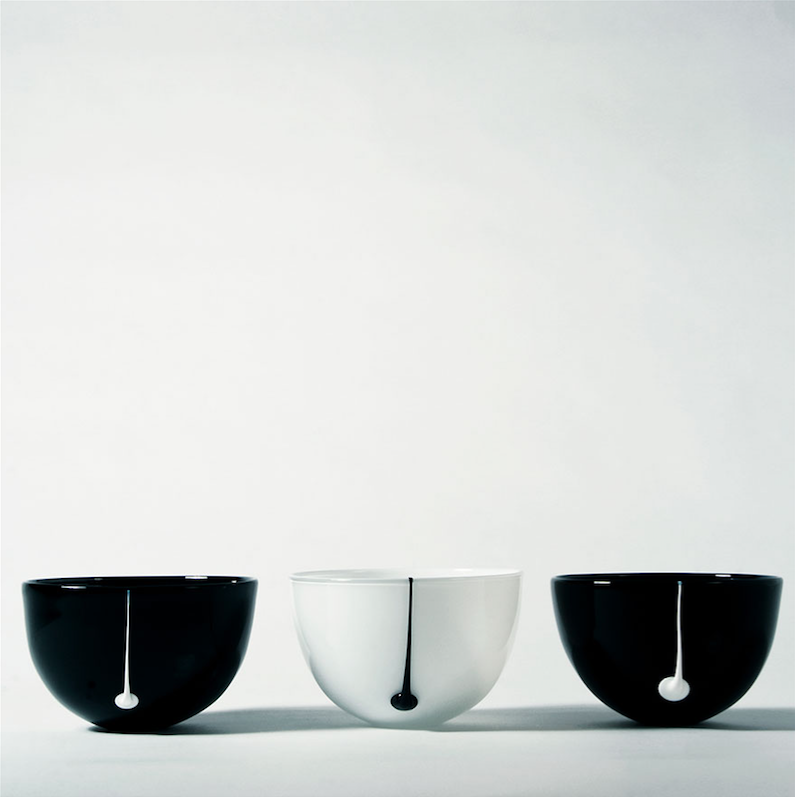 The black and white vessels, with precise lines of the opposite color running through them in the Black Line Collection, are decisive and bold. The objects which could be considered 3D artworks come across as humble, but behind their smooth, spiky or colorful surfaces lies a trove of technical mastery, hidden narratives and various inspirations.